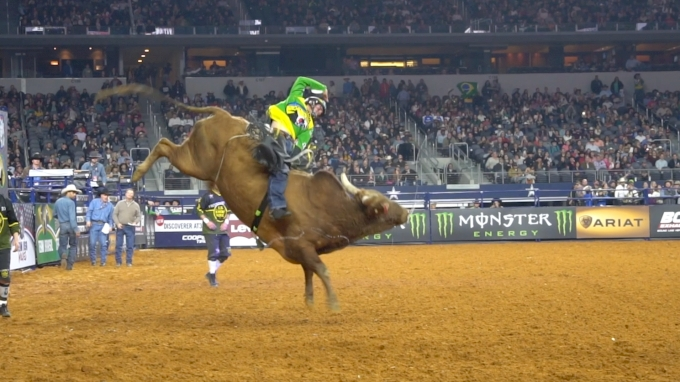 Team Brasil could not be stopped on the first day of competition at the 2019 PBR Global Cup in Arlington, Texas. With the highest scoring—and last—ride of the night for the team, Jose Vitor Leme had something to celebrate after going 90 points on Frequent Flyer. The feat was also the first time anyone had scored 90 points at "the Olympics of bull riding."